Has clutter taken over your home or office? Need to clear out space in your garage? 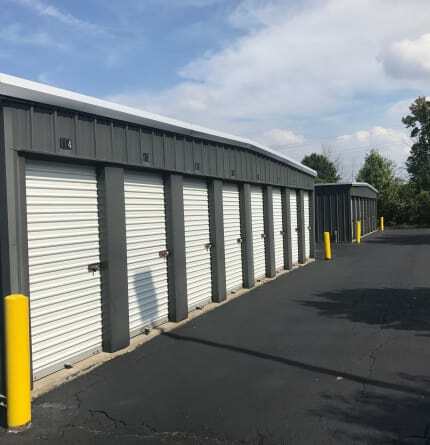 Green Meadows Self Storage in Lewis Center, OH, has the storage solutions to get you organized again. With a variety of storage unit sizes perfect for family heirlooms, furniture, or even a boat or RV, Green Meadows Self Storage is sure to have the right fit for your needs. Reserve your moving truck rental. Reviews for Green Meadows Self Storage. Green Meadows Self Storage is a fully secured, gated facility that allows for 24-hour access for our storage customers. Individual coded entry for security and a well illuminated and fenced facility. Timed entry logs show access to your unit and when. Our office is managed by knowledgeable staff members who are glad to answer your questions and provide you with the best customer service available. Green Meadows Self Storage is conveniently located near many of the major highways and roads in Lewis Center. We make it easy for you to swing by your storage unit on the way home from work or as you head out of town. Find out more about the benefits of storing at Green Meadows Self Storage. Call or stop by and speak with one of our friendly and professional staff members today. Find out more about the benefits of storing at Green Meadows Self Storage. Call or stop by and speak with one of our friendly and professional staff members today.